lures can only be equipped with one hook. Glad to help. Brook trout and pike are both open early in the season and it’s possible to target both species right at or soon after ice out. 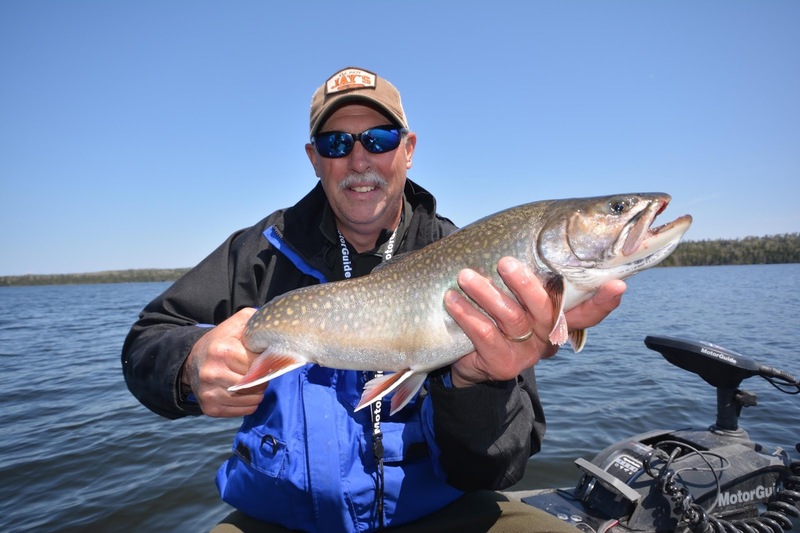 The brook trout are found around all the islands of Nipigon and typically close to shore where points and or boulders provide ambush sites. Shakespeare Island is a good place to start, but all the small islands surrounding this area are also good brook trout water. I’d recommend covering the shorelines as quickly as possible casting ahead of the boat with small spoons and in-line spinners. We’ve had exceptional success casting Yakima Rooster Tails and Vibric Rooster Tails in the 3/8 ounce size. When you catch a fish, slow down to work the area more throughly. Brook trout are going to be found in small schools, so when you catch one, others are nearby and it’s not uncommon to pull half a dozen fish from one small spot! 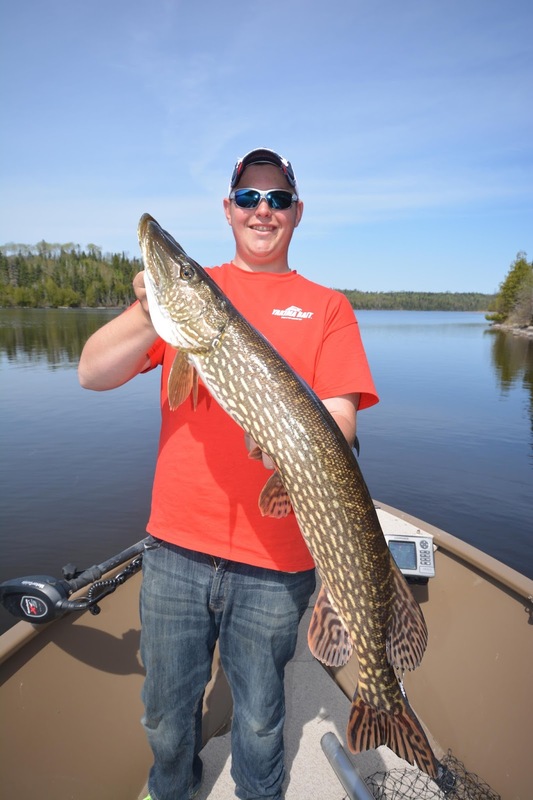 Lake Nipigon harbors some amazing northern pike. and spoons are good lures for targeting pike in shallow water. The pike are sometimes found chasing the trout along the rocky shorelines, but more often we encounter them in protected bays or the back end of bays. Usually the pike are relating to soft bottoms, areas with dead cattails and bullrush. Soft plastic jerkbaits rigged Texas style with no weight have been our best producing lures for fishing pike among dead vegetation. The barbless hook rule applies to the lure you are fishing. A lure can have a treble hook as that is considered to be one hook, but lures with multiple hooks (crankbaits) are not allowed unless you remove all but one of the hooks. So long as you use a pliers to firmly pinch down the barb, you’re in compliance with the Ontario laws. Your 16 foot boat is big enough to fish Nipigon on calm days and on windy days, no one is fishing regardless of the boat they have. 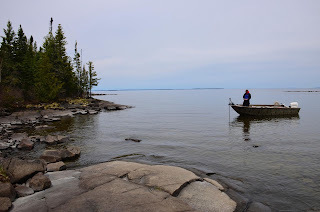 author well on Nipigon many times. We watch the weather very closely and that’s one of the great things about staying at Pasha Lake Cabins is Chad has daily weather reports he shares with all his guests. 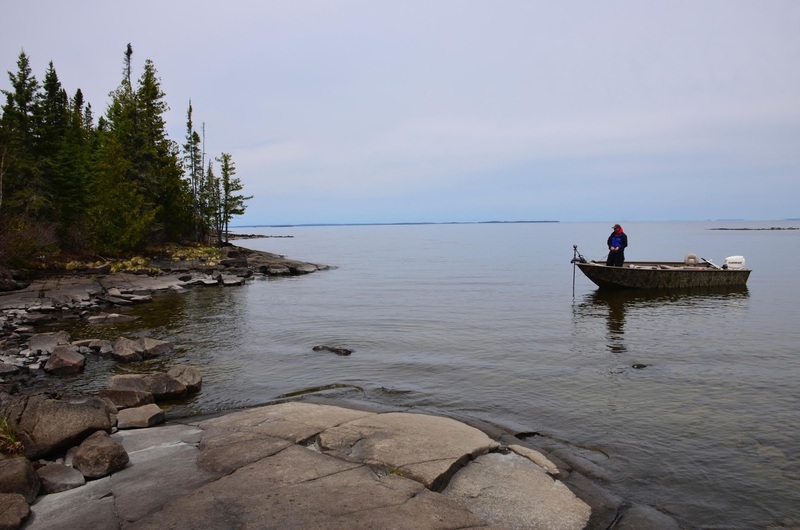 Lake Nipigon is a great fishery, but a lake you have to respect and avoid when the weather is threatening.